The Jungle Rhythms project at the surface seems rather straightforward in it’s setup. However, there are a lot of behind the scenes preparations that went into project. One of these tasks was cutting the large tables into yearly sections. Below you see a picture of one page of the original tables, halfway through pre-processing. 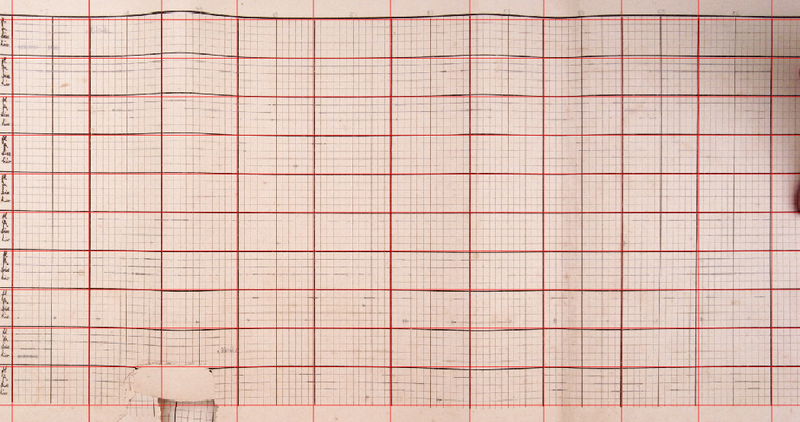 Each of these tables was first rectified (making sure that all row and column lines are roughly vertical and horizontal - to the extend possible) and cropped (as shown below). 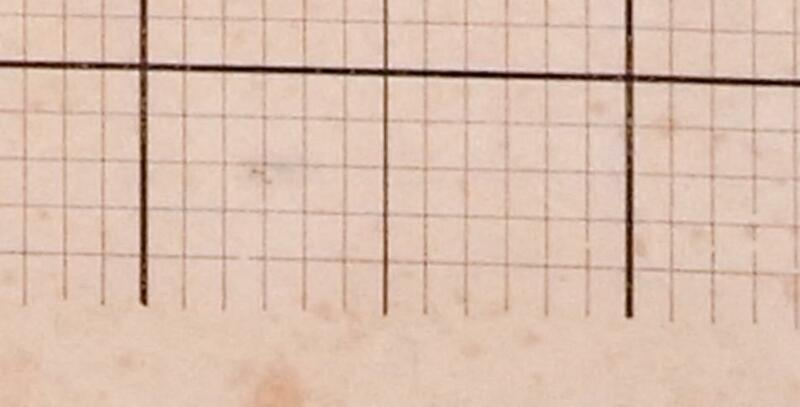 Next, I marked all column widths and the width of one row, as well as the bottom right corner. Using this information I could calculate the approximate position of all yearly sections (outlined by the red lines). The yearly sections were then cut out of the original images (with some padding) and saved with additional information on their location (column and row number). The final result of this operation would be an image as shown below and presented to you in the Jungle Rhythms project.